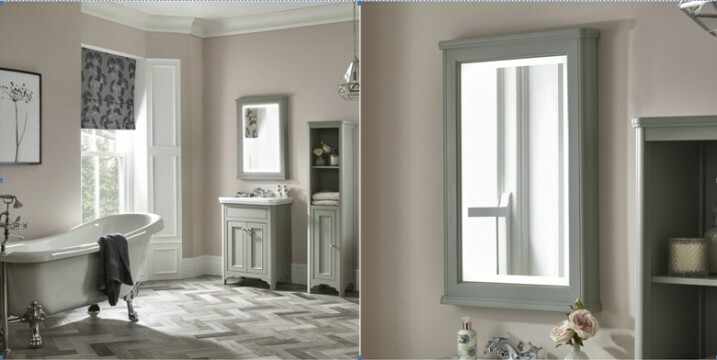 Our Langham range has always been a firm favourite for those who are looking for a classic bathroom with clean lines and elegant detailing, but this season we’re thrilled the range has been extended to include a warm and stylish hand painted steel grey finish that creates a chic, luxurious look instantly. Langham bathroom furniture, which also comes in hand painted soft cotton white, features units with five piece doors with subtle beading, curved plasters and delicate legs. Topped with a ceramic basin, the Langham basin unit is a timeless addition to any bathroom, especially when teamed with the coordinating tallboy and illuminated mirror – which can all now be purchased in steel grey. 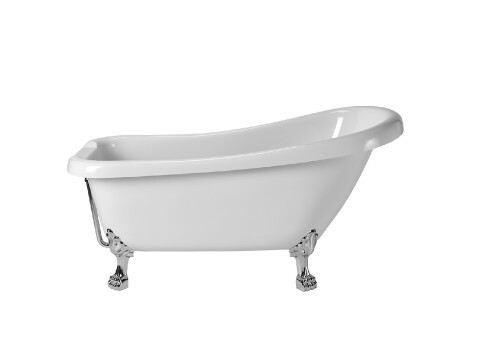 If you’re after a statement bath to complement the Langham range, look no further than our beautiful Claremont slipper bath which sits with the steel grey finish perfectly and creates an alluring bathing sanctuary that will look stunning for years to come. Wondering what colour to paint your walls? If white seems too cool or clinical, warm dusty shades of pink are having a resurgence with interior designers at the moment, especially when they’re complemented with a grey colour palette. Try a pink emulsion like this Pale Amethyst Paint and watch how your bathroom comes alive with an abundance of character and soars straight to the top of the style stakes. 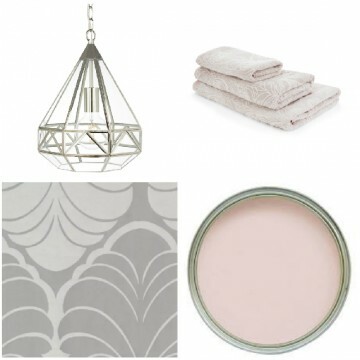 Don’t forget other finishing touches such as a striking chrome pendant, especially if you want to make the most of high ceilings and have something pretty to look at while you’re relaxing in the bath. Try the Zaria Nickel Pendant, which will certainly give your bathroom the wow factor and add a contemporary mix to the overall appearance of the room. Coordinating the walls with blush towels or bringing in another colour, like mauve or plum, is a fabulous way to add another dimension to your bathroom. Take a peek at these Grape Embroidered towels and get inspired! Last but certainly not least, don’t forget a roller blind to add the finishing touch – you will never tire of a floral or damask design and this Roman blind is one of our favourites!